I’m a cartoonist at heart, a dyslexic who started expressing himself visually before writing, or even reading, became comfortable. My approach is more that of a slapstick comedian than a poet. My speculative fictions tend to be satirical. My Chicano experience makes racism a frequent target. I see it as fighting back. Racism should be dragged out into the blazing sun and deconstructed before a live audience in a ritual similar to both a vivisection and a bullfight. I’ve thrashed out at these pendejadas over the years. Like a naive idealist, I thought that these protest works would become dated, and I would have to explain that racism and the grotesquerie it spawns actually existed. 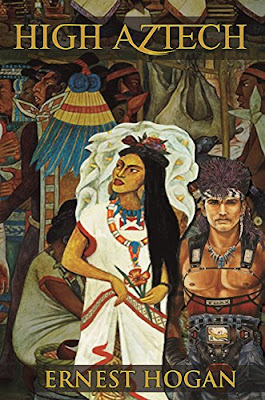 But when I look back at my published work I'm horrified to find that racism does not get old, the pendejadas of the past are still with us, and my decades old writings still ring true. Now that El Presidente is empowering the bigots, and the Supreme Court and Putin are backing him up . . .
I’m probably going to grit my teeth and write something else. I’m actually tired of writing about racism, but it keeps me out of jail. Like I said, it’s fighting back. Meanwhile, I offer some links to some this fighting/writing. Maybe the uneasy laughter will do some good. Gringos is a chapter from High Aztech that captures the essence of the novel and of the Latinoid condition on both sides of the Border, a never-ending nightmare from which we can’t escape because we don’t know if we’re awake or asleep. I wrote it back in the Nineteen-Nineties and reads like it was ripped from today’s headlines. The folks at Mithila Review: The Journal of International Science Fiction & Fantasy were kind enough to put it online. 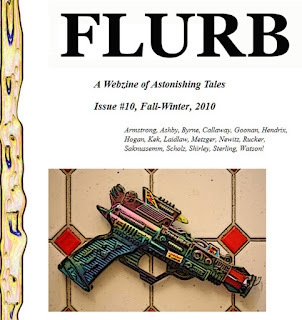 Doctora Xilbalba’s Datura Enema appeared in, and was written for, Rudy Rucker’s Flurb, a Webzine of Astonishing Tales. He suggested I write about then Arizona Governor Jan Brewer’s reign of terror. Opportunities like that don’t come often. 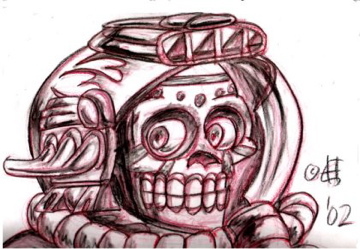 See why El Presidente gives me déjà vu? I wonder what happened to Jan? She’s gone, but her pendejadas live on. UNO! DOS! ONE-TWO! TRES! CUATRO! was written while El Presidente was running for the office. It was inspired by his campaign rhetoric. Like the old business saying goes, “Give the people what they want . . .” I tried to create a far-out dystopian vision. Lately, I think I may have been too conservative. 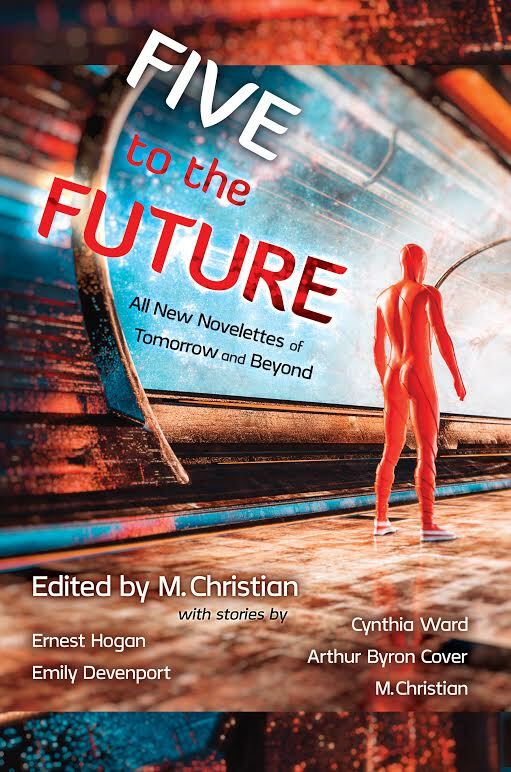 The whole thing is in Five to the Future: All New Novelettes of Tomorrow. 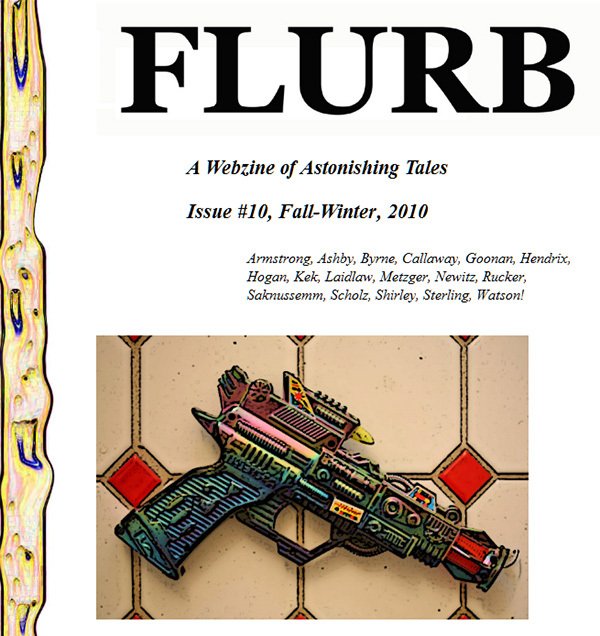 You can read an excerpt in Somos en Escrito: The Latino Literary Online Magazine. The current situation hasn’t inspired a new story yet, but then this long, hot summer is just heating up. The night air already burns. The problem is, it’s getting hard to out-do pendejadas . . .
Ernest Hogan’s Smoking Mirror Blues is available in a new edition. He’s going to be the final judge of the First Annual Somos en Escrito Extra-Fiction Writing Contest 2018. La Palabra July 2018. Latinarte Houston.